I am sensitive to those who cannot pay as much as others can. Perhaps it will be the downfall of Tim Miller VoiceOvers, but I don’t think so. The Bible speaks of giving back in Malachi, not all giving is monetary in nature. I donate my voice to radio stations and other causes. Thank you so much for doing this with us Tim! What is your “backstory”? Some thirty years ago, I was an announcer at a local radio and television station. That gave me some on air training. I worked in the corporate world since that time with no connection to radio or announcing.Starting in April of 2014, I cleared out a closet to set up my very first studio. Buying all the soundproofing foam I could afford, the studio was ready for the basic equipment. Beginning with an iPad and Apogee ‘MiC’ microphone, I was ‘ready to go’. A friend of mine from Ukraine referred me to his friend in Ukraine that needed a voiceover project. After completing that project, I was hooked. A second opportunity came from Ukraine and I decided to take this to the next level. I can. To date, I am not as successful as many of my colleagues, but that’s okay. Within the last year, another voice talent connected with me for advice. That was my first opportunity to give back. I mentioned to her that I was not as established as she thinks, but then she said something that stuck with me: “Well, you are more established than I am!” After a few Skype calls, I invited her over to the house (and to meet some of my family) giving her some pointers on what to buy and how to use the audio processing equipment. She was forever grateful, and surprised that I did not charge her for my hours spent with her. Her story continues below, stay tuned! I will tell you this is a niche business. Not many people want to help you in this line of business, mainly, because it would ultimately cut into their profits. I think differently. Even though I am not as established as most voiceover talents, I find ways to give. From donating commercial time to local non-profit stations, to not long ago giving a microphone to someone just getting into the business. My philosophy? I want to change the voiceover environment. The extra microphone would have never been used, my colleague needed one (the lady aforementioned). Additionally, I will surprise my clients with often a 24 hour turn-a-round on their requests. Timing matters in radio, especially. The original closet studio was small and very hot-very hot. I needed a bigger space to accommodate anticipated equipment and room for clients. My Father was gracious to buy the wood and materials needed so I could build my own air-conditioned, sound proof environment. I designed the room to be mobile, yet look stationary in the garage. Not long after its completion, Dad passed. Dad’s legacy lives on. Praying for sound deadening panels, I discovered a studio that actually was discarding ALL of their old foam! I had no truck to get it, but while in that city for business, I stuffed ALL OF IT into a rental car — I could have been an advertisement for Great Foam…once again, God provided. Corrie Ten Boom, the author of THE HIDING PLACE wrote a book of how awful her environment was during the Holocaust. Amidst the filth and lice in a concentration camp, she thanked God for the lice-yes, the lice. It was for the lice that the German soldiers did not come into the barracks that confined them. This made me think of what obstacles are in my life that are there for the good. 1) I would have done more research on voiceover delivery. Over acting can be annoying, looking back at some of my past work. 2) Pay-to-Play business. I gave nearly $300 my first year to a company that gave zero results. They wanted an additional $5,000 to place me at the top tier to ‘get noticed’. I did not do that, instead, I moved on. 3) Webpage design. I am still learning, but delivering a simple website is critical. Thinking of that, after this interview, I am visiting my page AGAIN. 4) Contracts. To date, I have not been paid for at least two jobs. No more! 5) Thicker skin. This attribute I still am developing. Rejection is DAILY in this business, I need to learn to deal better with it. This is a statement AND a prayer request! 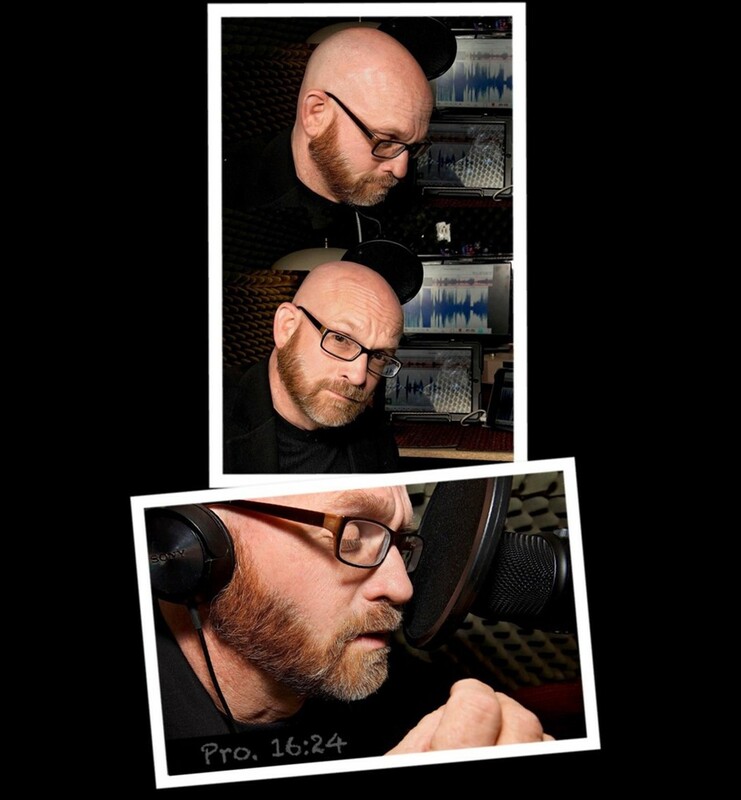 I would love to have a week-long session with a voice coach, namely, Joe Loeshe. Joe is at the top of the list when it comes to voiceovers and the spoken word. I have met Joe, but because of some life setbacks, have not had the opportunity to be in a coaching session with him. If not Joe, then another coach that really cares about developing my vocal abilities and career.